On the basis of Matthew 24:15 with supporting Scriptures from Daniel, 2 Thessalonians 2, and Revelation 13, it may be concluded that Scriptures anticipate a future temple with a sacrificial system which will be under way at the time “the prince that shall come” exercises his authority, desecrates the temple, and establishes himself as the object of worship.- Walvoord, J. F. (1968). Will Israel Build a Temple in Jerusalem? Bibliotheca Sacra, 125, 99–106. The above argument is circular, the literal Temple is NOT the only place where both “the Daily” and “the abomination” can exist. The “daily” and the “abomination of desolation” can exist in the church also, and it is the ONLY Temple that has a valid priesthood in Christ. Temple imagery and Priesthood were transferred to the Church at Christ’s resurrection (1 Pet. 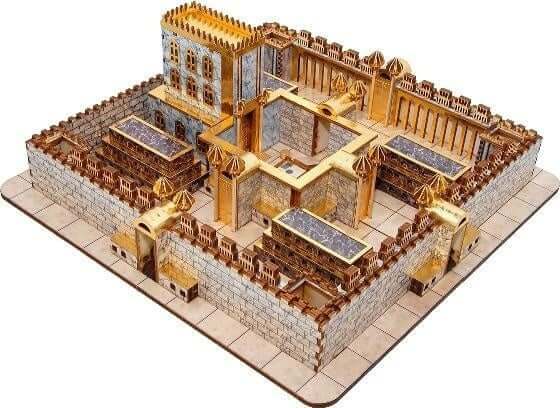 2:4-7) while the literal Temple in Jerusalem existed. Therefore, if Walvoord’s theory were correct, that must be reversed BY GOD so Paul can call this future temple a “Temple of God”! That follows from Paul writing this under the inspiration by the Holy Spirit (2 Tim. 3:16-17. 2 Pet. 1:21). So the dilemma “Would God call a Christ rejecting temple the Temple of God” is a valid one. Of course He would not! Would Paul call a temple that still rejects Christ the “Temple of God?” Perhaps if still a Pharisee (Ac. 23:6; 26:5), but after Paul became an apostle of Christ he never calls the literal temple in Jerusalem the “Temple of God”. That he reserves for the Church (1 Cor. 3:16-17; 6:19. 2 Cor. 6:16. Eph. 2:21). As Paul was an apostle of Christ when he wrote 2 Thessalonians 2:3-4 and not a Pharisee, “temple of God” in that verse refers to the church. The abomination of desolation in Daniel 11:31 is in the past. The Abomination set up in the end time is very different than the image Antiochus set up. This one is a he “standing where he ought not” (Mk. 13:14 ESV), breathing, speaking and killing all who refuse to worship (Rev. 13:14-15). Part. שׁוֹמֵם the desolator (i.e. Antiochus Epiphanes [? ]), Dan. 9:27. הַפֶּשַׁע שׁוֹמֵם (for פֶּשַׁע הַשּׁ׳), ibid. Dan. 8:13, the sin of the desolator, and שִׁקּוּץ שֹׁמֵם abomination of the desolator, Dan. 12:11, i.q. βδέλυγμα ἐρημώσεως, 1 Macc. 1:54; 6:7 (either the altar or the idol which Antiochus caused to be erected over the altar of the temple at Jerusalem.) [But see, Matt. 24:14, as to the “abomination of desolation,” as something even then unfulfilled].-Gesenius, W., & Tregelles, S. P. (2003). Gesenius’ Hebrew And Chaldee Lexicon To The Old Testament Scriptures (p. 835). Bellingham, WA: Logos Bible Software. The “Continual Sacrifice” ( תָּמִיד08548; ἡ θυσία 2378) διὰ παντὸς (“the sacrifice through all [day]”) ceases from “religious apostasy” (הוּסַ֣ר 05493; ἀποσταθῇ 868 lxx). Therefore the ending of the “continual sacrifice” does not require the Jewish Temple, to be consistent with the rest of the New Testament it requires the Church the Temple of God (1 Cor. 3:16-17; 6:19. 2 Cor. 6:16; Eph. 2:21). When the already fallen away Church receives Adonikam the “man of sin” as “the Christ” (2 Thess. 2:3-4), sacrifice and offering to the True God has ceased (Dan. 12:11). After he morphs into the Son of Destruction 666 Beast at 1,260 days, it takes another 30 days to fully set up his image the abomination of desolation, 1,290 days. The desolation caused by this “breathing” image is unlike any before it. As it is the image of the Beast, both are the Abomination (Demon filled) causing desolation, the “son of destruction” (2 Thess. 2:3-4) aka the “Desolator” (Dan. 9:27; 12:11). Our Lord cautioned critical thinking was necessary. Analyzing this from every perspective and picking the solution that manifests elegance. Jesus is God the Eternal Son, His perspective sees both fulfillments, that in the first century and that in the end time. Hence “let the reader understand” is written not just those hearing, but to US who read. An abomination of desolation is any event or thing that causes the Temple of God to be desolate of God’s presence and consequently its valid use. It therefore can have dual fulfillment in the literal Temple, and the Church as the Temple. The first century abomination can be found in two events, the pagan ensigns worshipped by the surrounding Roman armies (Lk. 21:20), Jerusalem being the holy place. Or the acts of the Zealots and Idumeans who took over the Temple and murdered thousands including the High Priest, installing “the clown Phinnas” in his place. Drunk in women’s clothing they celebrated. That was an abomination of desolation. 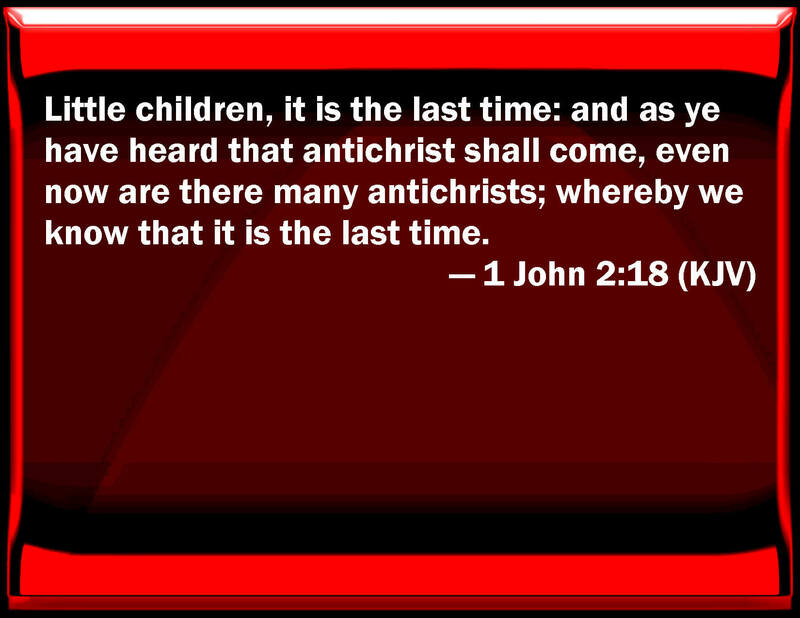 The abomination in the end time is a person “standing where he ought not.” (Mk. 13:14 ESV) What connection to an image does he have? In Revelation 13:15 the image of the Beast can breathe, kill any who don’t worship. Its given life by the dark arts of the false prophet, an abomination indeed. 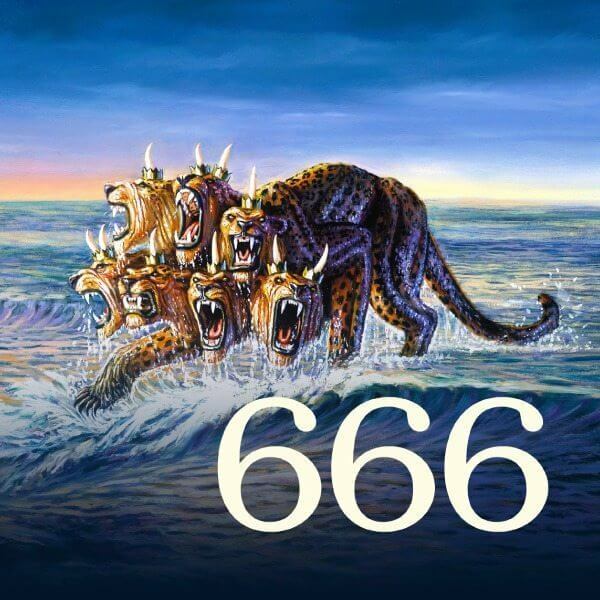 The 666 Beast himself therefore is the abomination of desolation standing where he ought not, in the holy place of the Church the Temple of God. When the fallen away church accepts him as “the Christ”, all sacrifice and offering to God ends because of their apostasy. At 1,260 days (Dan. 9:27; 12:7) the “man of sin” declares himself above every definition of God (2 Th. 2:3-4) and it takes him 30 days or on the 1,290th day (Dan. 12:11) the Quantum AI connected to every device is set up. This gives the Beast real time “God like” ability to see and hear everything, and react with deadly force anywhere if anyone try to resist. This abomination enforces his 666 Mark membership only economy (Rev. 13:15-18). Some insist it is unhistorical “the Daily” not refer to a sacrifice of lambs in a literal temple, or the “abomination of desolation” not be an idolatrous image like that of Antiochus. But it follows from Daniel’s not understanding the prophecy the words used have unfamiliar meaning (Dan. 12:9). What is the likeliest cause of Daniel’s confusion AND the unsealing of the meaning of the words in the end time? Only in the end time did reality uncover the additional meaning the words have. Daniel had no knowledge of the Church, that it would become the true Temple of God after the abomination of the crucifixion made desolate the Temple of the Shekhina Glory of God (Dan. 9:24, 26; Mt. 23:37-39; 27:51; 1 Ki. 19:11). He didn’t know Temple imagery and Priesthood were now properties of the Church. Let’s consider this in reverse. The Word of God testifies Daniel had “an excellent spirit, and knowledge, and understanding, interpreting of dreams, and shewing of hard sentences” (Dan. 5:12-16). So why was he confused about “the Daily” and the “abomination of desolation”? When prophesying about Antiochus nothing suggests he was confused then, so why in the end time prophecy are the words causing Daniel confusion? What unseals them in the end time? The only plausible answer to both questions, these words gained meaning unknown to Daniel that becomes known when end time events add new meaning to them. When Daniel asks the angel explain the prophecy, he declines explaining the words are sealed to the end. 1. Either God will unseal them in the end time supernaturally, reveal hidden meaning not known before. 2. End time events will reveal these words have new application, while retaining the essence of their original meaning. 11 “And from the time that the daily of Christians is taken away by their apostasy (so the count begins at the start of the end time week), when the Man of Sin appears and is hailed as “the Christ”, there will be 1260 days. Then he morphs into the 666 Beast Adonikam at “midweek”. An additional 30 days passes when Britain and America join the Revived Roman Empire of the Beast and set up his 666 image mark membership only economy. To buy or sell his Mark must be on hand or forehead and all who refuse to take it will be slain (Rev. 13:11-18). 1260+30=1290 days.